Ineos Styrolution has achieved a breakthrough in chemical recycling of polystyrene by producing virgin polystyrene from previously depolymerised materials. The move is considered to be a significant step in the company’s efforts to reduce post-consumer styrenic waste. Frankfurt/Germany – Ineos Styrolution has recently announced that it completed the first successful test runs producing virgin polystyrene from previously depolymerised material. 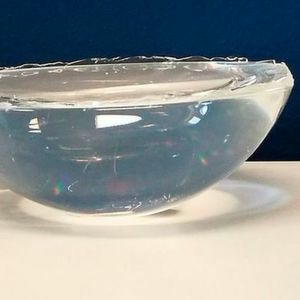 These experiments, completed at the company’s Antwerp site in Belgium, can be seen as the practical proof of the recyclability of polystyrene. A lab-scale quantity of general purpose polystyrene produced from 100 % recycled styrene monomer by Ineos Styrolution in Antwerp signals a game changer in polystyrene production. The material is the result of experimental polystyrene production runs with styrene monomer feedstock produced from depolymerisation of styrenic plastic. The tests – done in cooperation with commercial partners and universities – resulted in the production of virgin material with the same product properties as polystyrene produced from new styrene monomers. The announcement is part of the company’s ambitious efforts aiming at circularity for styrenics to save valuable resources, recycle styrenic waste and reduce the ecological footprint. The company’s efforts include research projects, as well as collaboration through the value chain and partnerships with customers.